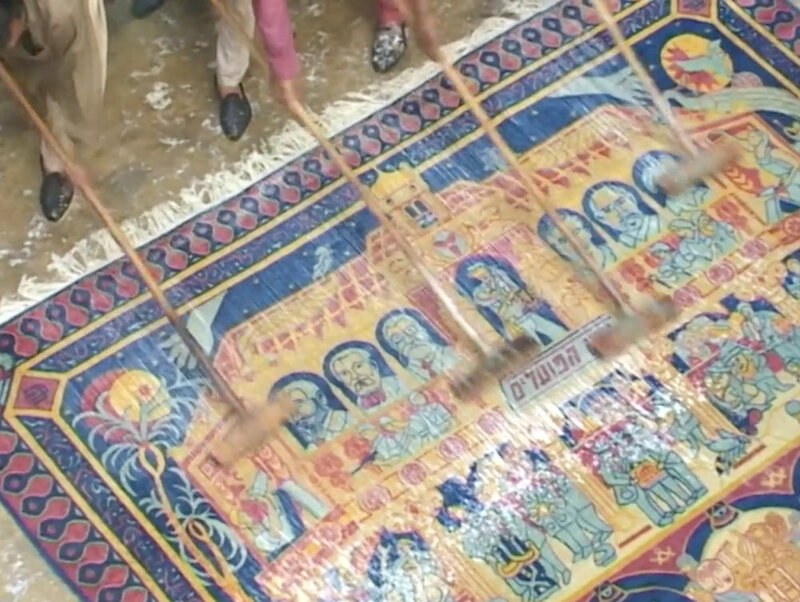 The image on the carpet depicts the architectural structure of one of Israel's largest banks, as an allegory of social structure. At the bottom are those who are getting things done, the workers. Above them is the middle class, and on the highest level we find the decision-makers, their faces are a melding of Zionist leaders and figures from world history. The image has an encyclopedic quality with approximately 100 'entries' included, each has a specific allusion; archeological objects, Socialist posters and art, Renaissance art, symbols of Israeli sovereignty (bills, coins, stamps etc. ), Israeli art, and much more. 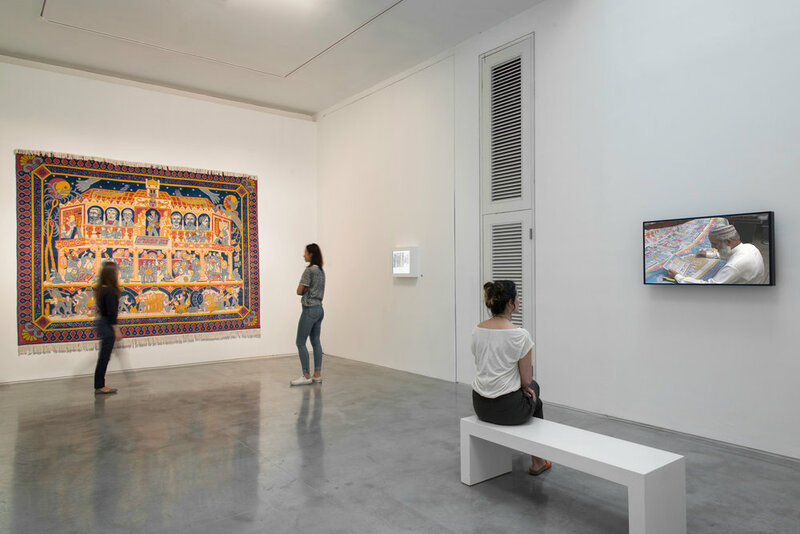 Image Bank is an interactive application that allows the user to explore and read about the multitude of references included in the carpet. 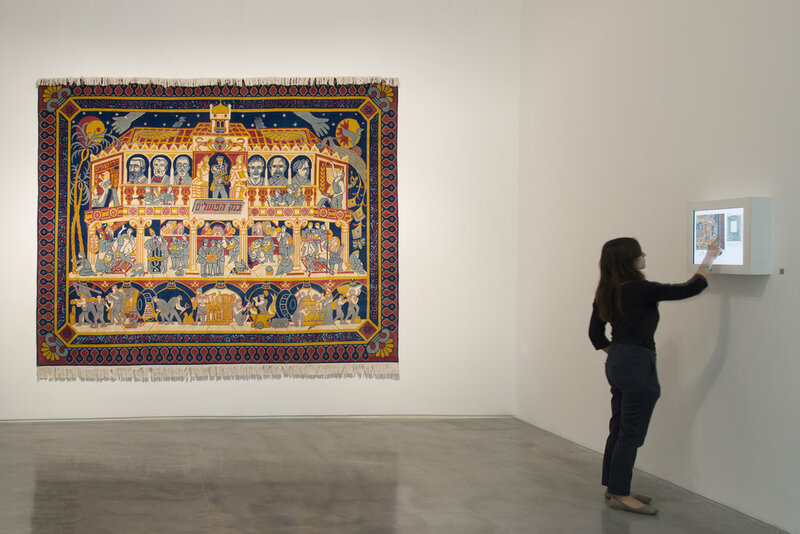 The Making of Bank Hapoalim Carpet documents the different stages of executing Bank Hapoalim Carpet: from the initial painting made by Ido Michaeli, through the long weaving process in Afghanistan, to the hanging of the finished carpet at the Israel Museum in Jerusalem. 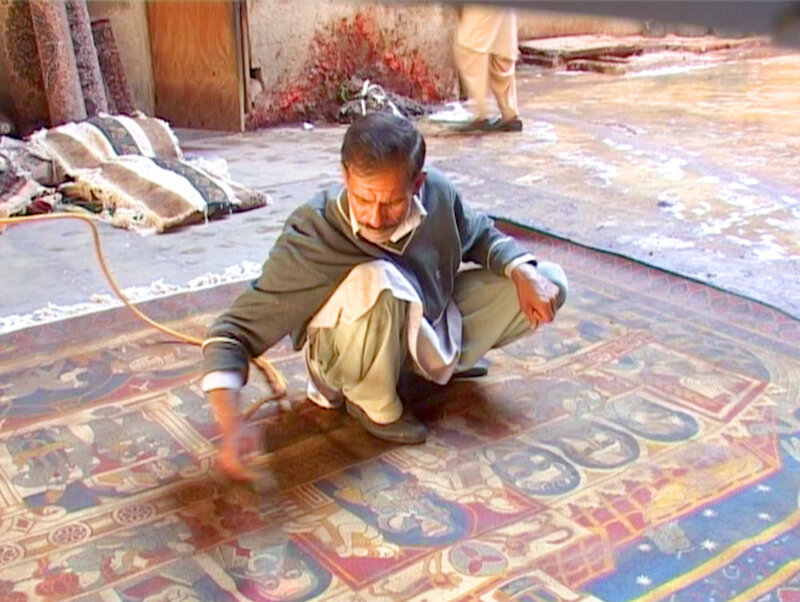 The video opens a window onto the craft of carpet-making and presents the surprising, somewhat absurd, encounter between the Afghan workers and the multitude of Zionist symbols hidden in the carpet sketch. Herzl Rug is a handmade rug, woven in the same factory as the Bank Hapoalim Carpet and features one of its details—a portrait of Theodor Herzl, the Zionist pioneer and visionary of the Jewish state. 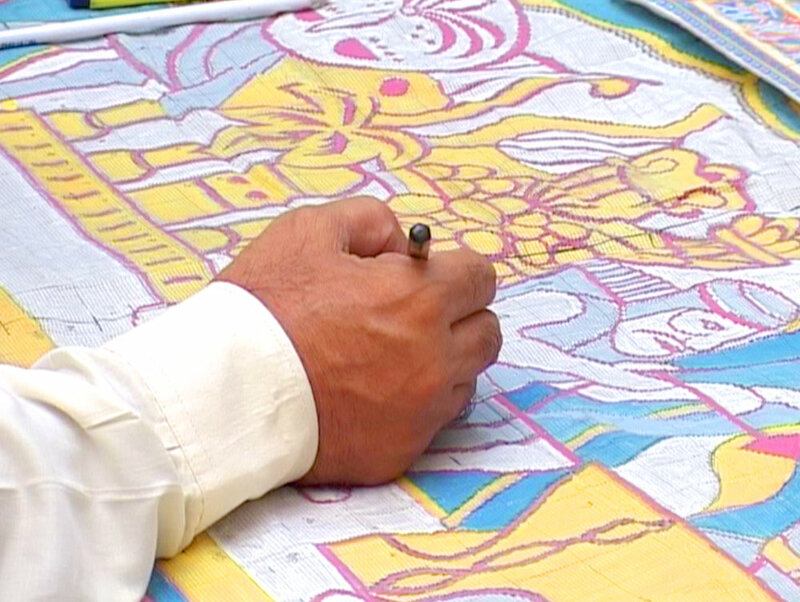 His figure has previously appeared on many rugs made in Bezalel—Israel's national art school that was founded in 1906, based on the Arts and Crafts movement.